Copper Mountain area snow tubing requires minimum effort with the magic carpet returning you to the top of hill everytime. Either during the day or under the lights, snow tubing is a family fun winter sport with max thrills! 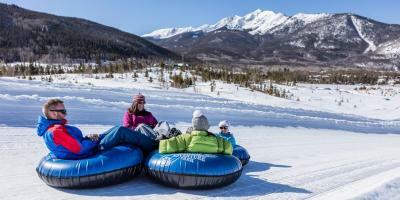 Here are the best places to snow tube in Copper Mountain area. It’s the Memory of a Lifetime. Snow Tubing & Snowmobile Adventures.